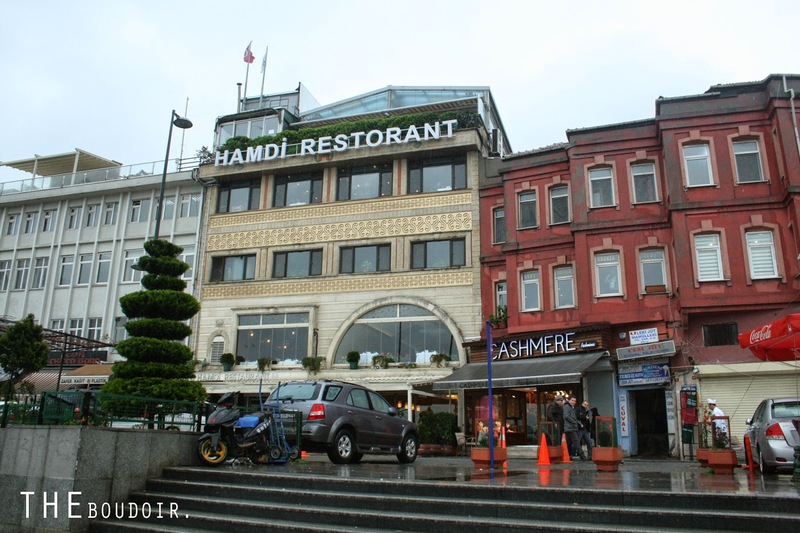 After we spent a few hours in the Grand Bazaar in Istanbul, Turkey, and seeing that it was a rainy day with no chance of us looking for a place to have lunch, the safest bet was to head to Hamdi Restaurant, which was close by, just a few minutes by taxi. We've heard good reviews about this restaurant, which is steps away from the Egyptian Bazaar, and we were glad we headed there even though it wasn't on our list. As soon as you enter you are taken by an elevator to the top floor. I made the mistake of using the stairs rather than take the lift. 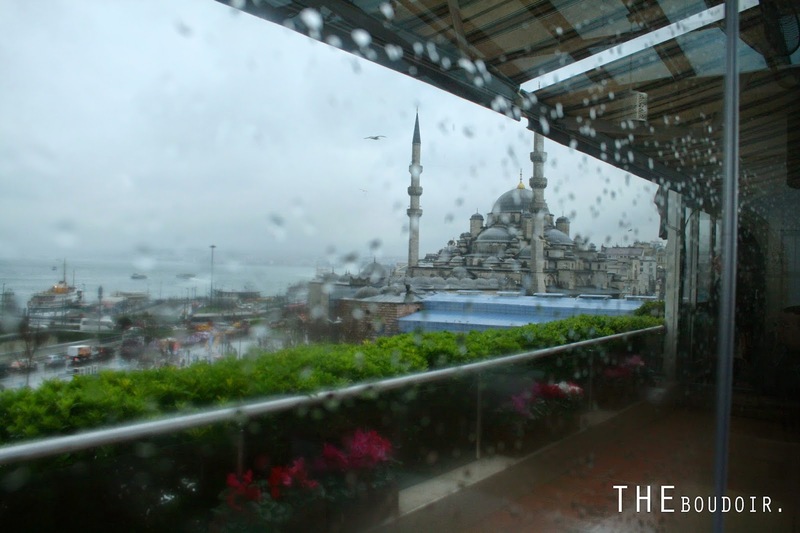 When you arrive to the rooftop, its complete covered in glass, which means that it gets to be open air in warmer months. 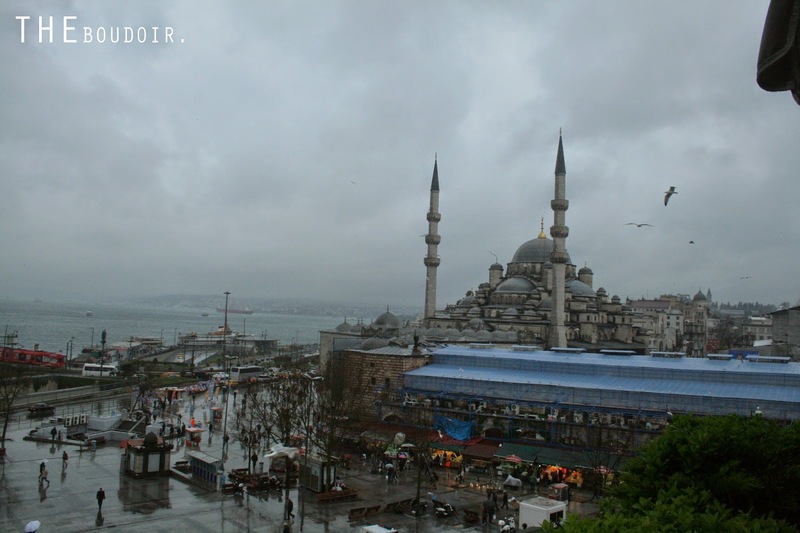 You will be astonished with the great views of Sultanahmet and the Galata Bridge and Tower. 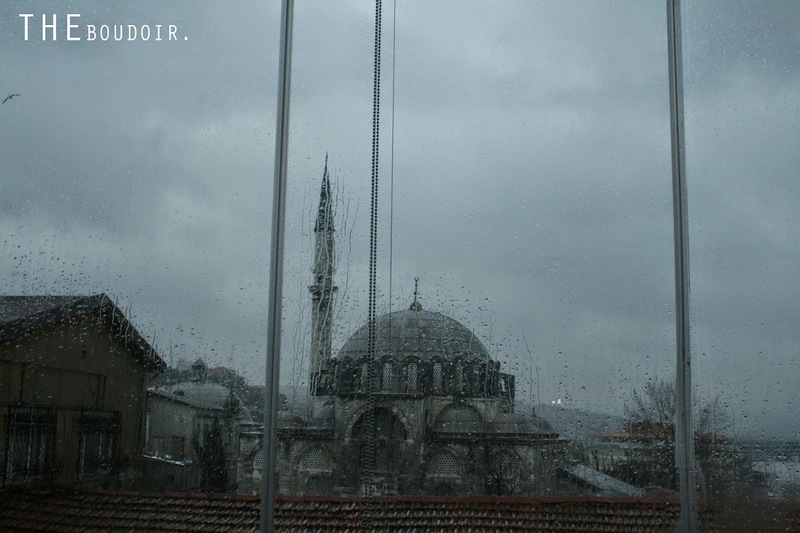 A handful of mosques can be seen around which adds to the beauty of this place. 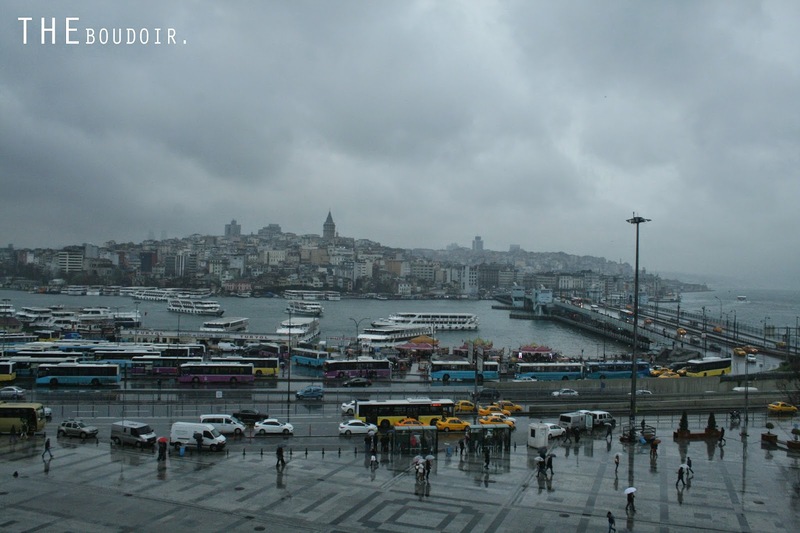 The food is not to be missed, I went for the kebab pieces in yogurt, delicious, and they mentioned that it had pistachio kebab, I will add that its one of the best Turkish cuisines I've been to in Istanbul. بعد قضاء الصباح في القراند بازار اتجهنا لأقرب مكان للغدا واللي هو مطعم حمدي عن طريق التاكسي لسبب الأمطار ما قدرنا نفكر في مكان ثاني. يقع المطعم بضع خطوات من جسر القالاتا والبازار المصري وبعد الوصول اليه يصعدونكم في الأصنصير الى الطابق الأخير أو السطح وانا غلطت واستخدمت الدرج وكان صعود متعب. السطح مغطى كليا بالزجاج وهذا يعني ان ينفتح في الصيف. طبعا المناظر خطيرة تشوفون منطقة سلطان أحمد وجسر وبرج قالاتا بالإضافة الى العديد من المساجد من ما زاد على جمال المكان. الأكل ما يتطوف وهو من ألذ المطاعم التركية اللي كليت فيها في اسطنبول. طلبت قطع الكباب او الكفتة في الروب والصلصة الطماط والي معاي يقولون ان كباب الفستق لذيذ وايد.